The registered postal voters who opted for facilitation booths have started to cast their votes from today. Out of the 438,663 registered voters, 133,795 registered as postal voters. Of the total postal voters, 102,528 opted to vote through 65 facilitation booths across the country. 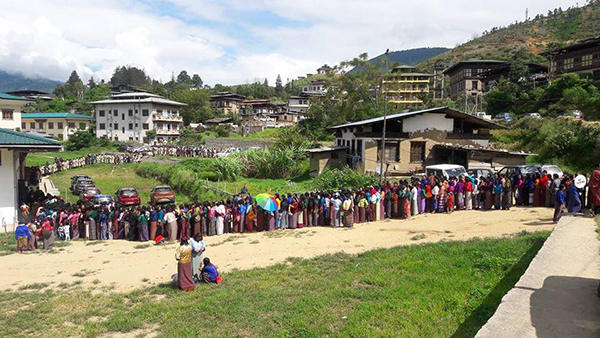 The Election Commission of Bhutan (ECB) says the number of postal voters has increased significantly for the National Assembly (NA) elections compared to the National Council (NC). “In the NC elections, there were over 60,000 postal voters who have opted for facilitation booths. 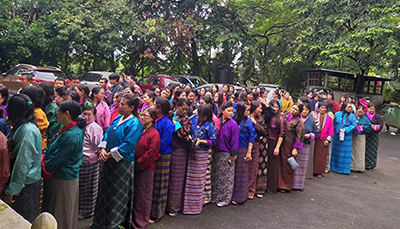 But this time, there are more than 100,000 registered postal voters,” Namgay Tshering, the Head of Postal Ballot Administration Unit, said. Thimphu has the highest facilitation booths at 12 with over 35,500 registered postal voters. “This facility is convenient for the voters. It saves both time and money. Otherwise, for me, I have to travel to Trongsa to cast my vote,” Pema Wangdi, a voter, said. “I opted for facilitation booth as it is inconvenient for me to travel to Trashigang with no one to look after my school going children,” Rinchen Dema, another voter, said. The booths will remain open from 9am-7pm until Sunday (September 10). The ECB is also operating mobile facilitation booths for prisoners and people with special needs. The poll day for the NA primary round in on September 15.